For more than 2 decades, volunteerism has been a vibrant part of One 2 One Marketing’s culture, as both an individual employee activity as well as an organizational effort. We coordinate our resources — including products, matching gifts, grants and people — to create responses tailored to local and individual challenges. Today, the ultimate measure of One 2 One’s business is found in the improvements to the lives touched by our work. We would like to thank the following for allowing us the privilege of working together! Feed My Starving Children is a non-profit Christian organization committed to feeding God’s children hungry in body and spirit. The approach is simple: children and adults hand-pack meals specifically formulated for malnourished children, and we ship these meals to our distribution partners. FMSC meals have reached nearly 70 countries around the world in our history. One 2 One’s core team and their friends and family join together once a month to pack meals and provide any help they can to this amazing organization! 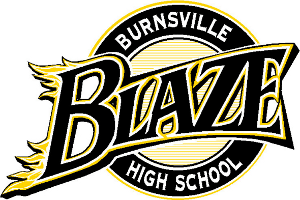 School District 191 has a one-of-kind amazing volunteer program and we are very lucky to be a part of their efforts! Every year, nearly 3,000 volunteers contribute 64,000 hours of their time and talents to benefit students and their learning. One 2 One Marketing has had the pleasure of supporting its students and teachers, to help enrich the curriculum for all learners through a variety of projects! One 2 One belongs to and works closely with the Network of Executive Women, and our own Sarah Sether was recently named as a NEW Member at Large of the College Outreach Committee! The College Outreach committee is committed to helping launch a new strategy to further the mission to educate the future workforce about the opportunities and mentor women in our industry! In 2011 the 363 Days Food Program distributed more than 600,000 sandwiches to the homeless and hungry. Sandwiches were prepared and donated by more than 500 community groups, churches, schools, and companies. In total, more than 10,000 individual volunteers participated in sandwich making events, ranging in age from 7 to 87 years old! Currently, Mr. Law distributes an average of 1600 sandwiches a night to Twin Cities partner shelters and locations serving the homeless. One 2 One has been blessed to work with the Lupus Foundation of Minnesota over the past few years on a number of different events and occasions! From 5k Runs, to their annual Food & Wine Classic! 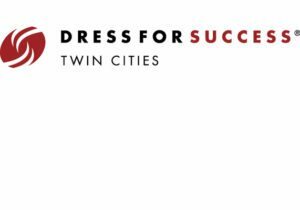 Dress for Success Twin Cities is a non profit working to promote the economic independence of disadvantaged women by providing professional attire, a network of support and the career development tools to help women thrive in work and life. Their vision is to provide the tools and skills low-income women need to break the recurring struggle with poverty, through a high touch, high impact career and workplace skills development model that leads to career stability and economic sustainability. One 2 One strongly believes in the benefits they provide to women in business and has had a great opportunity to support them in 2015! There are a number of other causes and organizations that we love getting to work with when we can!! Please contact us today to discuss any community outreach or volunteer opportunities you may like to discuss with our team!